Beautiful to behold in nature, many plants have been used medicinally for thousands of years. 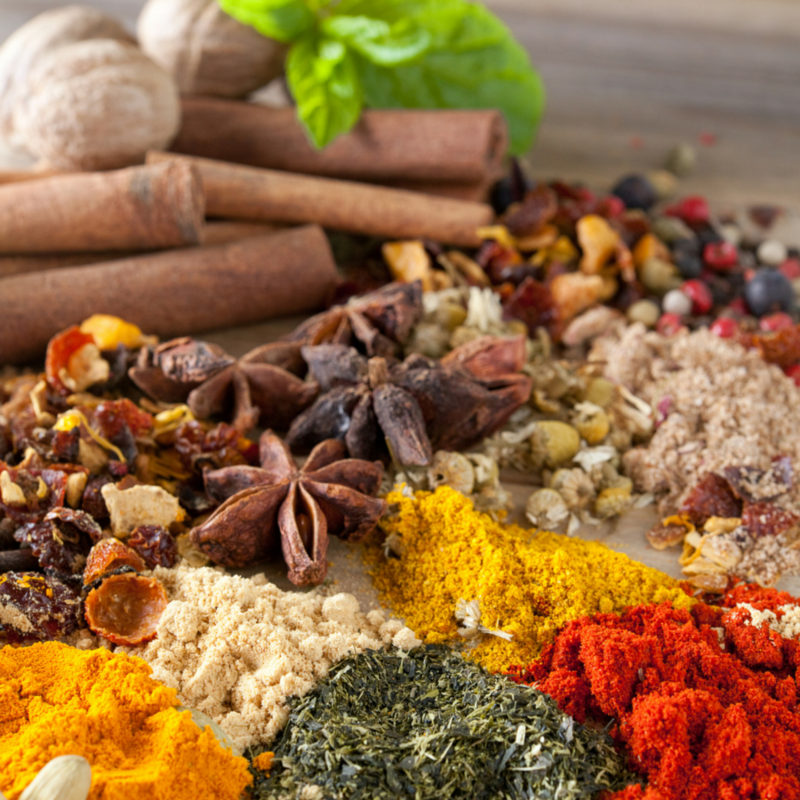 Here are ten proven medicinal herbs that scientists have tested in clinical studies. Few people are aware of the multitude of scientific studies done on plants. This information should not be used as medical advice. “If we were to design a drug that had perfect properties according to what we know about heart disease and associated risk factors, we couldn’t improve on garlic,” says Amanda McQuade-Crawford, herbalist and director of the Ojai Center of Phytotherapy in Ojai, Calif. Regular use of garlic is associated with the prevention of cardiovascular disease, she explains. Garlic raises protective HDLs (high-density lipoproteins), while it lowers harmful LDLs (low-density lipoproteins) and triglycerides (blood fats). Garlic is also known to help lower high blood pressure, she says. Garlic aids in cancer prevention by raising the body’s level of glutathione transferase, a liver enzyme known to detoxify the body of carcinogens, says McQuade-Crawford. In China, researchers found gastric cancer was reduced where garlic intake was high. Other researchers have noted improved helper/suppressor ratios of T-cells in AIDS patients who take garlic. Proven to work against various micro-organisms including bacteria resistant to antibiotics, garlic is known to be antifungal and antiviral, she adds. The berries of this flowering shrub are best used for the heart, says McQuade-Crawford. Hawthorn aids the heart’s pumping action by opening the coronary arteries to nourish the heart muscle. The herb can also slow a rapid heart rate and strengthen a failing heart. Hawthorn usually lowers high blood pressure, especially a raised diastolic high blood pressure, and it benefits low blood pressure due to weak heart muscles with arrhythmia (irregular heart rhythm). “Hawthorn takes a long time to do its best — six months or longer. In the style of a true herbal tonic, it can be taken safely and effectively over time for its best effects,” notes McQuade-Crawford. Ginkgo Biloba extract from the ginkgo tree has been shown to benefit visual function by improving microcirculation to the eyes especially among patients suffering from senile macular degeneration, a common condition thought to involve free radical damage, says Steven Schechter, N.D., author of Fighting Radiation & Chemical Pollutants With Foods, Herbs &Vitamins (Vitality, Ink). More than 280 scientific studies indicate standardized ginkgo extract prevents and/or benefits ailments such as vertigo, tinnitus, inner ear disturbances, memory impairment, ability to concentrate, anxiety, depression, neurological disorders, senility, circulatory disorders, edema and Raynaud’s disease (a vascular disorder). Ginkgo extract improves the quality and increases the quantity of capillary circulation, thus increasing blood flow to the brain, heart and tissues in organs and glands, Schechter says. In addition, he notes, the flavonoids in ginkgo are potent free radical scavengers. Also known in Chinese as ma huang, ephedra may be the world’s oldest herb cultivated for medicinal purposes, dating back nearly 5,000 years, says McQuade-Crawford. It’s commonly used in cold formulas as a decongestant. “Ephedra is a great bronchial dilator,” McQuade-Crawford says. It helps asthma sufferers by opening the sinus passages and has an antihistamine effect which aids chronic and acute allergies. Ephedra also acts as a circulatory stimulant to blood pressure and heart function; it elevates blood pressure. Ephedra’s main constituent is ephedrine, which increases adrenaline secretion in our bodies. The boost you get from ephedra stimulates certain glands, muscles and tissue functions, while it suppresses others. “In the long term, ephedra’s adrenaline overdrive can lead to chronic stress and even to degenerative disease,” warns McQuade-Crawford. She notes this is important for people using ephedra for dietary weight loss or “pep pill” purposes because the effects of ephedra linger in the body long after the herb is gone. “Ephedra shouldn’t be used with drugs for the heart or for the lungs and never with antidepressant drugs. It’s not for use with the weak or the ill and when used long term, dosages should be conservative,” McQuade-Crawford cautions. Licorice has been most recently researched as an antiviral and in the treatment of gastrointestinal ulceration, explains McQuade-Crawford. Its soothing, anti-inflammatory and relaxing actions help smooth muscles in the gastrointestinal tract on contact. “Licorice gets into a painful, contracted, tight digestive tract and coats the raw places, relaxes the clenched-up muscles and acts as a local anti-inflammatory,” she says. Licorice also increases bile secretion. Licorice is indicated for any gastrointestinal ulcers, including mouth ulcers. The root is indicated for chronic coughs and bronchitis as a soothing decongestant. It’s also indicated in small amounts to reduce sugar cravings. The Chinese often use licorice to improve the taste and the effects of other herbs in complex formulas. Japanese research has shown licorice to decrease high testosterone levels in women with ovarian cysts and to increase their fertility. Large amounts of licorice or long-term use raises blood pressure in some people. A strong antioxidant, bilberry benefits your circulatory system, eyes, heart and brain, and helps generate overall good health, says Schechter. Bilberry fruit contains a type of flavonoid called anthocyanosides, which are responsible for increasing flexibility of capillaries and increasing blood flow. Research shows that standardized extract of bilberry can enlarge range of vision and improve sharpness of images, enhance ability to focus, and improve blurred vision, eyestrain and nearsightedness. Bilberry extract also helps strengthen coronary arteries and helps prevent atherosclerosis and venous insufficiency, which causes swollen ankles and feet. “Since adding bilberry to my own health program, I’ve noticed my muscles seem to recover slightly faster, I experience less muscular pain and my vision has improved from 20/100 to approximately 20/50,” says Schechter. Decades of research prove echinacea’s value for aiding the immune system, Schechter explains. Studies have determined echinacea’s ability to activate white blood cells and stimulate the regeneration of the cellular connective tissue and the epidermis. Schechter notes that echinacea’s infection-fighting properties stem from its ability to neutralize a harmful enzyme involved in the infection process. Echinacea also increases two vital components of your immune system that consume and eliminate invading organisms and foreign particles. German studies have shown echinacea extract contains proteins that help protect noninfected cells against viral infections, one reason why echinacea is regarded as an influenza preventor. Another German study found echinacea effective in allergy treatment because it helps prevent tissue inflammation due to harmful foreign toxins. “I consider standardized milk thistle seed extract the most beneficial herbal product for liver detoxification, regeneration and protection, and, in general, one of the most universally necessary herbal products for the 1990s,” says Schechter. He notes that the stress of toxins from chemical pollutants, pharmaceuticals, alcohol, tobacco smoke, drugs and different forms of radiation have cumulative side effects that need to be addressed. More than 120 scientific studies have shown that milk thistle extract regenerates, regulates and strengthens liver functions. Because free radicals attack the liver, primarily the fat tissue in the liver, the antioxidant qualities of milk thistle are extremely beneficial. Milk thistle stimulates your body to produce superoxide dismutase, which is one of two primary antioxidants the body can manufacture. Astragalus has been used as an immunity booster in China for nearly 4,000 years, according to Rob McCaleb, founder of the Herb Research Foundation in Boulder, Colo. Astragalus extracts can increase immune system efficiency by increasing immune activity. One study found that astragalus extracts could increase the impaired immune function of blood cells up to and sometimes beyond normal cell ability. According to Planetary Herbology (Lotus Press) by Michael Tierra, N.D., astragalus helps strengthen digestion, raise metabolism, strengthen the immune system and promote wound healing. It can also treat chronic weakness of the lungs, shortness of breath, low energy, prolapse of internal organs, spontaneous sweating, chronic lesions and deficiency edema. Ginseng is one of the most widely studied herbs, having been the subject of more than 3,000 scientific studies to investigate how ginseng helps improve a person’s physical and/or mental performance, notes McCaleb. Studies have shown ginseng helps increase memory and learning by improving circulation. It’s also been shown to reduce cholesterol and protect the liver from toxins. Ginseng, according to Tierra, is known to strengthen the lungs, nourish body fluids and calm the spirit. It may be used for shock, collapse and heart weakness, as well as for promoting longevity and increasing resistance to disease. A Japanese study showed cancerous liver cells could be reverted to normal cells in a Petri dish culture when treated with Panax ginseng extract. Siberian ginseng has also been shown to stimulate the immune system.